Driving on local beaches - Check out our 4x4 beach driving guide here. While virtually every vacation rental home or motel along the coastline will have easy access to a nearby stretch of shoreline, day-trippers and visitors staying in the inland regions of Morehead City or Beaufort will also find a number of popular beach destinations that are wide open to the public. 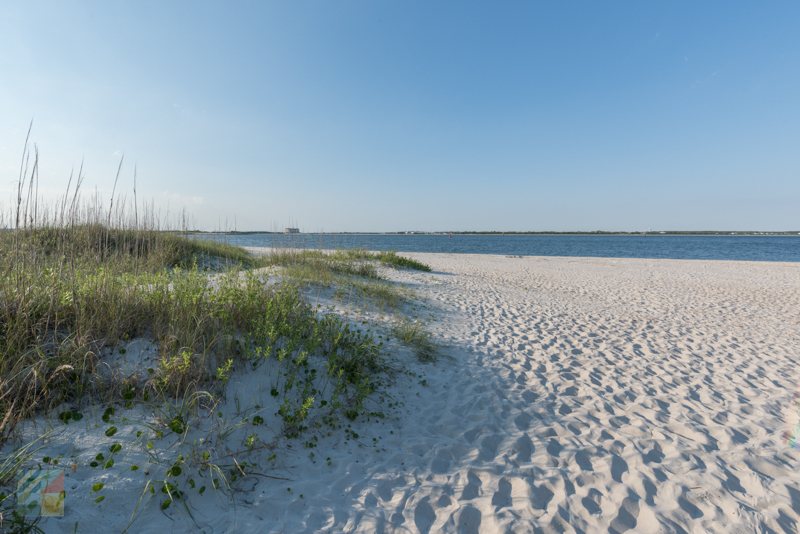 Fort Macon State Park is a popular beach simply because of its undeveloped nature. 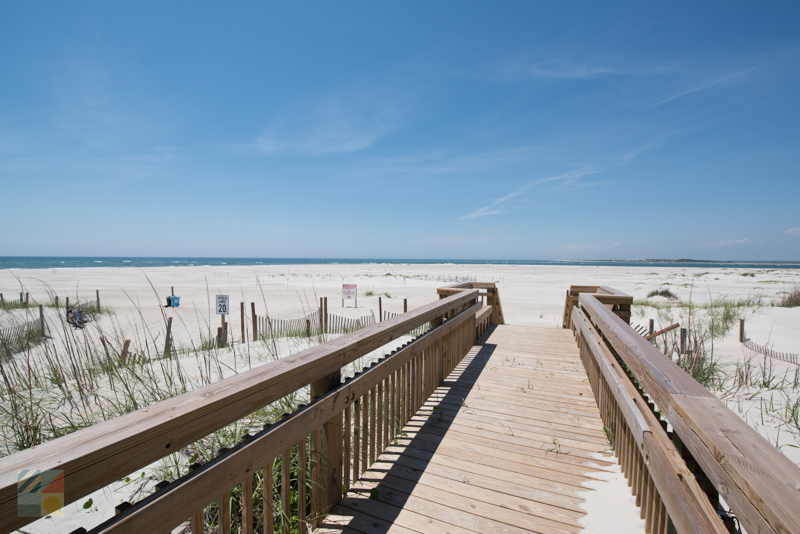 Located on the eastern outskirts of Atlantic Beach, this area features several large parking lots for beach-goers as well as seasonal snack vendors, restrooms and shorelines. The big appeal of this region is its relative isolation, as visitors can enjoy miles of shoreline with a natural sea-oat lined backdrop. The Circle is another popular beach that’s easy to reach and which is located in the heart of Atlantic Beach, almost directly across from the Atlantic Beach Causeway. 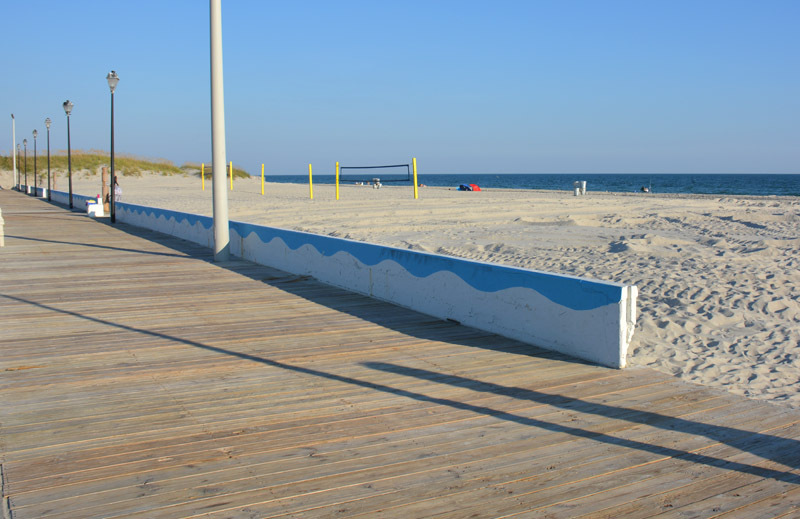 Though popular and crowded in the summer months, the beach has a wealth of amenities including seasonal lifeguards, an on-site park with playground equipment, and a number of neighboring restaurants, bars, and vendors for easy snacks and meals. The Eastern Regional Beach Access is located just east of the center of the town of Emerald Isle, and is a nice destination for central vacationers staying in the towns of Indian Beach and Salter Path. Featuring ample parking and a walkway directly to the shoreline, this popular destination makes reaching a relatively quiet stretch of shoreline a breeze. The Station Street Park in Emerald Isle is a great destination for visitors who want to reach “The Point” or the western tip of the island. Well-known as a popular destination for fishing, shelling, birdwatching, and enjoying exceptional views that extend for miles, this shoreline can be reached by parking at this public park, and walking a quick ¼ mile to the edge of island. Visitors will want to arrive early in the summer months, as parking can fill up quickly when the towns are hopping with vacationers. The desolate barrier islands that comprise the Cape Lookout National Seashore are some of the most scenic shorelines along the Crystal Coast. Completely deserted except for a handful of rustic cabins that are run by the National Park Service and a Visitors Center close to the Cape Lookout Lighthouse, these beaches can be accessed via a water taxi / ferry that departs from Beaufort, Harkers Island, or the small communities in Cedar Island. Though the facilities are limited, (and as such, visitors will want to bring along plenty of water, snacks, and sunscreen), the ensuing terrain is stunning, with miles of nothing but pristine shoreline in every direction. While each town along the Crystal Coast shoreline has its own sets of rules and regulations, (and the National Park Service’s Cape Lookout National Seashore has distinctive policies in place as well), there are some similarities no matter where you go. Before you head to the beach, be sure and brush up on these area rules to ensure that you have a safe and completely fun time. Dogs are allowed on the beach in the towns of Emerald Isle and Atlantic Beach, provided they are leashed at all times and the owners clean up after their pet. Bonfires are not permitted along the Emerald Isle beaches, however they are allowed within the Cape Lookout National Seashore. Fireworks are illegal in North Carolina, and are not permitted on any beach along the Crystal Coast. Visitors are free to set up tents, canopies, and other beach equipment along the shoreline, but most remove these items at the end of their beach trip, and not leave them up and unattended during their stay. 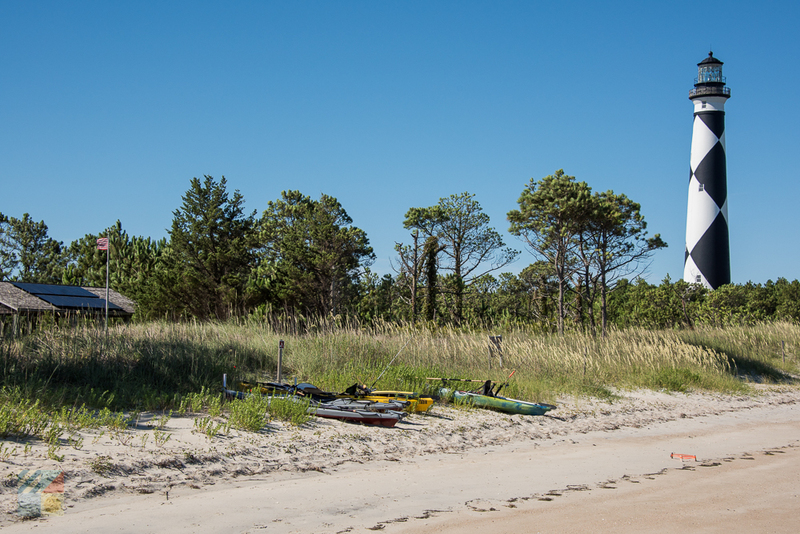 Camping on the beach is illegal throughout the Emerald Isle communities and shorelines, however it is allowed in the Cape Lookout National Seashore. Visitors should note that with the exception of a handful of NPS managed cabins, all camping on the National Seashore is primitive camping, with limited if any facilities. Permits to camp on the National Seashore are not required, however groups of 25 or more may be required to obtain a Special Use Permit. Camping is allowed for 14 consecutive days at a time, and visitors should bring along ALL supplies including food and water. Beach driving is allowed on the Cape Lookout National Seashore, and visitors can access the shoreline through at least two privately owned vehicular ferries that depart from the towns of Davis and Atlantic on Cedar Island. (Vehicles are not permitted on the Shackleford Banks.) Driving on the beach is also allowed for 4WD vehicles in the town of Emerald Isle with a Town-issued permit between the dates of September 15 and April 30 only. Visitors can purchase an annual permit by calling the Town’s Administration Building at 252-354-3424. Littering on ALL beaches throughout the Crystal Coast is illegal, however there are numerous trash cans and recycling bins located throughout the towns along Emerald Isle. Visitors should refrain from climbing on the dunes throughout the Emerald Isle shoreline, as they serve as a natural barrier to protect the communities from ocean over wash. Instead, stick to the public paths and boardwalks to access the shoreline. Red flags along the Emerald Isle shoreline indicate that water conditions are too hazardous for swimming, and visitors should take heed. Weddings are allowed along the Emerald Isle shorelines, although a permit from the town here the wedding will be held is generally required, and some limits on equipment may apply. Weddings, although difficult to orchestrate, are also permitted on the Cape Lookout National Seashore, provided that the werdding party acquires a Special Use Permit beforehand. Lifeguards are seasonally available at several main public beaches in Emerald Isle and Atlantic Beach. Lifeguards are generally on-duty from Memorial Day until Labor Day. Visitors who want to go shelling during their Crystal Coast vacation will be happy to discover that there are a myriad of options, both close to home and in more isolated regions. One of the best destinations for shelling is the Cape Lookout National Seashore, simply because of its isolation. Visitors will find a wide variety of shells along the empty beaches, including whelks, colorful scallops, delicate olive shells and augers, sand dollars, clunky moon snails, and even Scotch Bonnets – the surprisingly rare state shell of North Carolina. 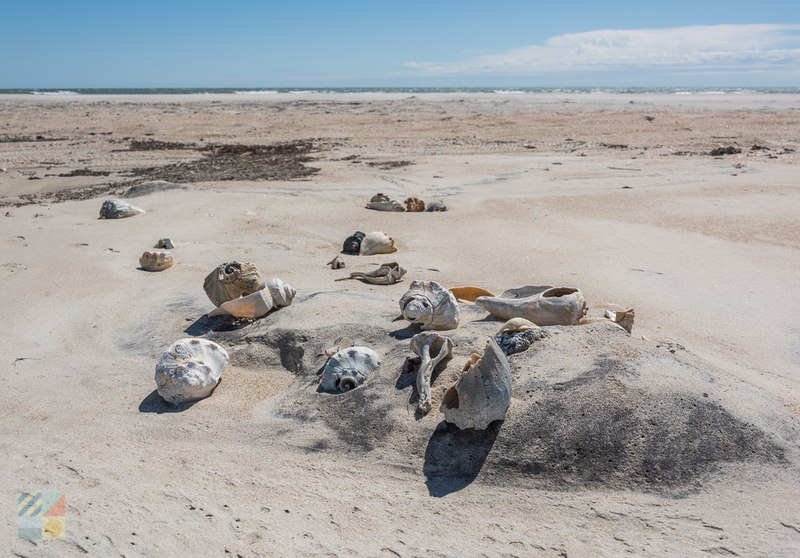 For the best chances of finding an incredible shell, take an on-island taxi or vehicle to the “Point” of the Cape Lookout National Seashore, where a wide variety of specimens regularly wash ashore. The Shackleford Banks is another excellent shelling destination, and is slightly easier to reach via a 20-minute passenger ferry ride from the town of Beaufort. Ferries can run every 15 minutes or so during the peak summertime months, and reservations are not needed. Just make a trip to the Downtown Waterfront to book a ride. On the Emerald Isle coastline, visitors will have the best luck shell hunting by heading to either ends of the island. The Point on the eastern edge of Emerald Isle and the Fort Macon State Park that’s just west of Atlantic Beach are both good starting points, although veritably any beach can result in a decent find. Aim to go shell hunting after a low tide or high tide, or preferably, after a storm, when a wide variety of shells wash up as soon as the waters start to clam down. 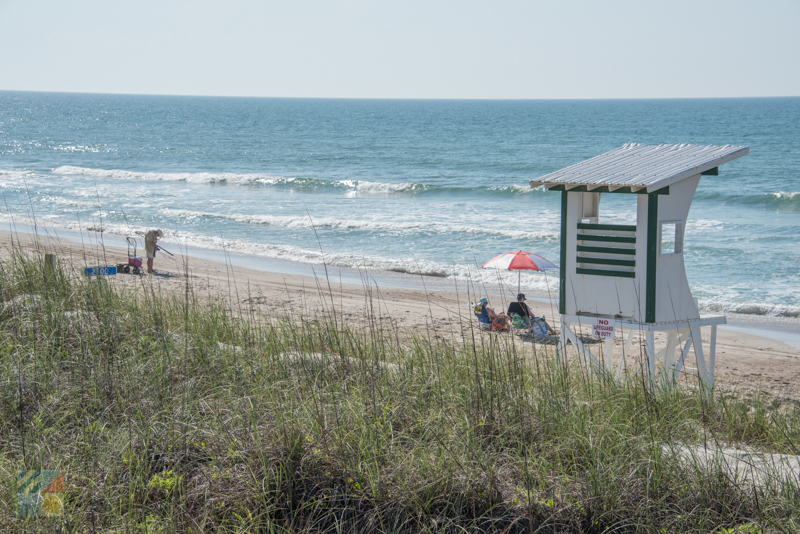 Rip currents can occasionally occur along the ocean waters off the Crystal Coast, and while encountering one can be frightening, a little common sense and a smart response can go a long way in ensuring a swimmer’s safety. A rip current resembles a current that’s flowing out into the ocean, instead of in towards shore. Look for patches of white caps or foam in the ocean that seem like they are flowing out to sea – it’s most likely a rip current, and should be avoided. If you get caught in a rip current, the important thing is to not panic and conserve your energy. Heavy breathing can tire a swimmer out as much as frantic swimming. DO NOT try to swim towards shore. Instead, start swimming parallel with the shoreline until you are safely out of the rip current. Once you no longer feel the pull of the ocean, you can start to swim back to the beach. Make sure you bring along plenty of sunscreen! The sun is more powerful close to the water, and it’s easy to get a sunburn, even if you spend all your time splashing and swimming in the ocean. Bug spray will come in handy for visitors exploring the Shackleford Banks and the Cape Lookout National Seashore. Because these areas are more isolated, the mosquitos tend to flock to the rare human visitors, and can be especially thick in the summer months. The ocean waters are generally warm enough for swimming from about mid to late May until late September or even October. The beaches are also less crowded before Memorial Day and after Labor Day, making these “shoulder season” months an enticing time to go. Independence Day is a great time to head to the beach! The town of Emerald Isle has an annual fireworks display off the Bogue Inlet Pier, and any visitor who heads to the sand will have an awesome view of the show. The beaches of the Crystal Coast are wonderfully varied, and range from miles of empty shoreline to hopping destinations that are adjacent to oceanfront nightlife venues and restaurants. No matter what your beach tastes are, chances are that you can find the perfect shoreline for your preferred beach experiences on the aptly named Crystal Coast.